Grand Rapids, MI: Wm. B. Eerdmans Pub. Co., 2003. I hunger for stories of strong women. Growing up, the stories I read were of women who fulfilled only the traditional role. Now I long for stories of women who have stepped beyond — stories of women who reflect on life and faith and dare to challenge conventional ideas. Denise Ackermann is such a woman. Formerly the chair of Christianity and Society at the University of the Western Cape in Belleville, South Africa, she is currently visiting professor of practical theology at the University of Stellenbosch, SA. 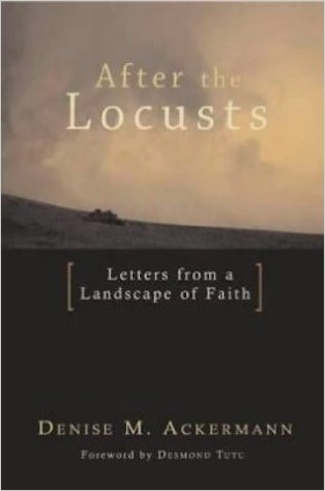 The title of her book, After the Locusts: Letters from a Landscape of Faith, intrigued me. What did locusts have to do with faith? In the introduction, Ackermann explains that the metaphor of locusts comes from an incident recorded in the book of Joel. Israel had been devastated by an invasion of locusts, which had destroyed fields, stripped trees and laid waste the entire land. When the people called upon God, God promised to restore the land. Ackermann uses the locust metaphor to describe both her own personal demons and the role that apartheid played in South Africa. She shows her readers that just as the locusts had devastated ancient Israel, the policy of apartheid laid waste her country and separated families and friends. She admits that it was her opposition to apartheid that helped lead to her alienation from her own family. And she shows us that a strong faith can be forged through the fires of suffering. That reality struck me forcefully this past summer when I took a trip to the Sequoia National Forest. As I stood among the groves of these giant trees, I was astounded at their greatness. The staff at the visitor center explained that, in spite of our anxieties about naturally ignited forest fires that are part of a healthy ecosystem, it is through fires that the trees are able to grow. The fire heats the cone, which allows the tree to pollinate. The fire also clears out the brush and smaller trees so the seedling can grow in rich soil and unobstructed sunlight. I thought about how amazing it is that something so beautiful comes from so much pain, and I had similar thoughts as I read Ackermann’s book. She strips herself of her academic robe and stands naked before all of us to tell of the struggles, the fires, which have helped to form her faith. It is after the locusts that the healing and restoration take place. This is the hope she offers us. The landscape of faith that she invites us to see has become interwoven with all the things that have contributed to its beauty. She wants us to see not only the beauty that is, but also the devastation that has helped it to grow. To tell her story, she has written each chapter in the form of a letter to someone who is, or has been, important in her life. Some of the “letters” are addressed to persons already deceased, such as a letter to her mother, who had never seemed to understand or approve of Ackermann and her faith. 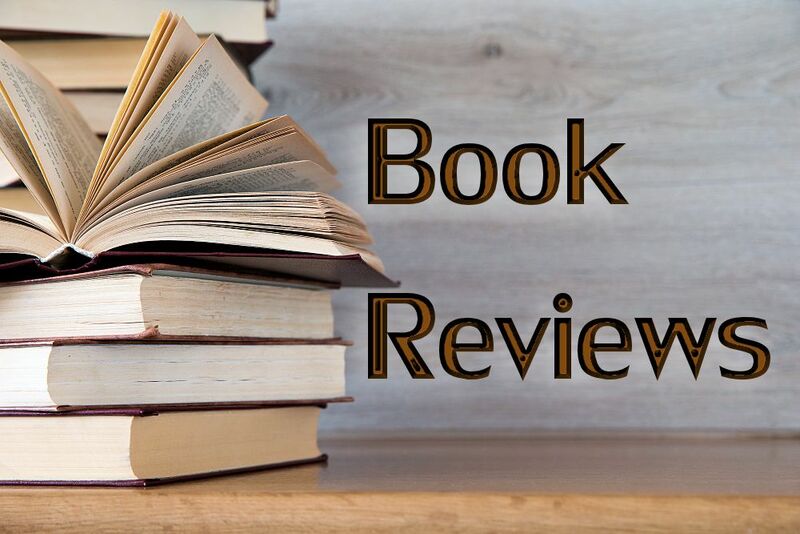 In all her letter-chapters, Ackermann works through issues of life and faith to help us answer the question, “What is life worth living for in troubled times? When the locusts come and eat away at everything we hold dear, when the fires tear through our hearts, what makes it worth going on? What I liked best about After the Locusts was the author’s honesty. She does not try to gloss over her struggles, fears, grief, and regrets. She voices my own heart’s cry when she says, “What does my faith require of me? To be vigilant about justice, to love boundlessly, never to cease hoping, and to be actively involved in the work of healing. I find this daunting” (56). Challenges she sees all around her include sexism, the racism that continues as a legacy of apartheid, and the tragedy of the AIDS crisis in South Africa and throughout sub-Saharan Africa. As a seminarian, I have come to realize how much I really do not know. Growing up in the church, I had all the Sunday School answers memorized. But I have found that faith is much more than the Sunday School answers. As Ackermann says, “It is the naked desire to know God more intimately” (28). In the letter to her mother, Ackermann writes that “doing theology requires faith, whereas studying religion does not” (24). Maybe there should be a warning label when someone decides to take on the task of “doing” theology: Warning! This could change your life. “Doing” theology can not only change your way of thinking, but how you live and act. Ackermann notes the dismay she feels at seeing the incongruities between belief and actions and how this dismay drives her to find more consistency. “The theological challenge,” she says, “is to hold the continuities, dissonances, and differences that make up the often untidy and tangled experience of living in conversation with the Christian faith”( 34). While we grapple with the locusts that plague our lives, we seek hope. Ackerman defines hope as more than “religious optimism.” She says, “It is toughminded perseverance in dire times because we believe in God’s promises and know that faith without hope is simply not possible. Reality focuses our hope. Clear-sightedly we see the hunger, pain, and suffering around us. We also note the courage and care and dare to hope that the hungry will be filled with ‘good things'” (29). To have hope does not mean we just sit around and wait for good things to happen. We must be actively involved in trying to bring about what we are hoping for (81). We cannot abandon hope even if it seems foolish, because without it, life is a “wasteland of non-fulfillment” (81). Hope is something that Ackermann believes we can hold onto even when the locusts have seemingly destroyed everything. The most common reaction to all the injustices that plague our lands is anger. Ackermann, however, found her answer to those injustices in lamenting. It is my understanding that our relationship with God allows us to express our distress with injustice. If our faith is based on a false understanding of the relationship that God has with us, then the pains and struggles of life will only weaken our faith instead of strengthening it. The power of lament has many facets. It is for communal and individual expression, public and private, and for both the suffering and the penitent. I think one of the most powerful expressions of humanity is when a person admits her or his own faults. Ackermann can at one level lament her treatment as a woman; and at another level, she can lament what she, as a white woman, left undone during the time of apartheid. Such a lament is carried by hope to the ears of God. It speaks honestly about the suffering and entreats God to action. Ackermann believes lamenting helps to heal our doubts and restores our “faith in our power to call on God to act on our cries” (124). It is this that she says makes life worth living. Each time I read a story of a strong woman, I feel empowered to continue on the path I have chosen as a feminist. At times it feels daunting and overwhelming, but I know I too will make it through; and in the end what has been destroyed will be restored into its own landscape. So I say, Thank you, Denise Ackermann. A new member of EEWC, Sarah E. Oesch works full-time as the Recorder in the Office of the Registrar at Fuller Theological Seminary, Pasadena, CA. She is also pursuing a Master of Divinity degree at the seminary.